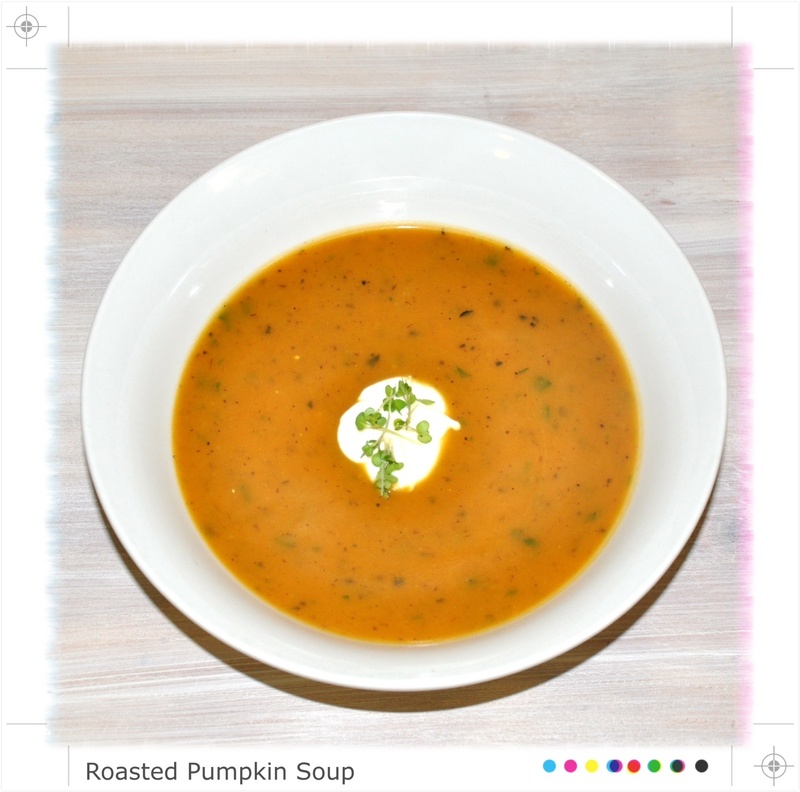 RECIPE - Roasted Pumpkin Soup - Live It. Do It. What a windy day in Sydney it was today. On days like this, don’t you just want to wrap yourself in a blanket and curl up on the couch with a toasty hot bowl of soup?? Well, for us there is nothing better when it is freezing so our REAL FOOD Chef put his magic hands together and whipped us up some of this yummy, steamy, Roasted Pumpkin soup. How is our Roasted Pumpkin soup good for you? The bright colour of pumpkin tells us its good. It has a high content of Vitamin A and antioxidant carotenoids, particularly alpha and beta-carotenes which is what gives it its colour and helps prevent cancer by fighting the oxidation that occurs through the very toxic lifestyles that we live in. It is packed with vitamin A, C, K and E. It full of minerals including; magnesium, potassium and iron. All round, IT IS GOOD! SO EAT IT! Peel & chop pumpkin and Onions. Then place into a large bowl; coat with olive oil, salt and pepper. Place onto large baking tray. Cook on 180 degrees in oven until soft. When pumpkin and onions are soft remove from oven and place into a large stock pot with boiling water. Add oregano, parsley and bay leaves. Allow to simmer on stove top for approximately 1.5 hours. Remove bay leaves. Place everything into a high powered blender like a Vitamix. Blend until smooth. Serve with a dollop of Whole milk natural organic yogurt.